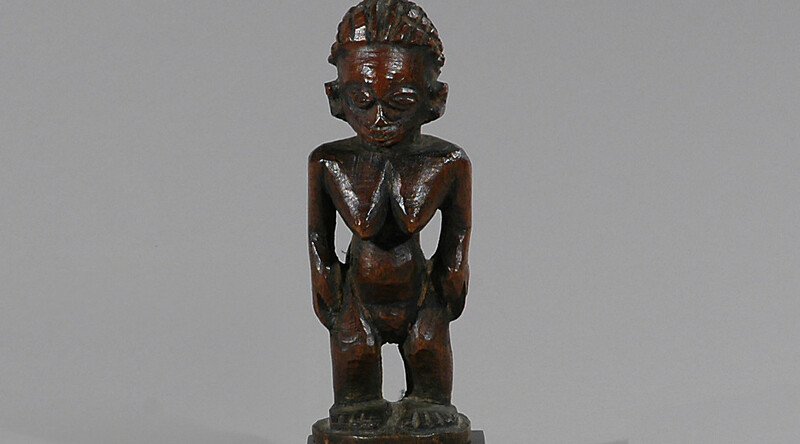 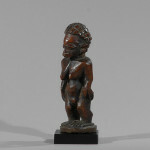 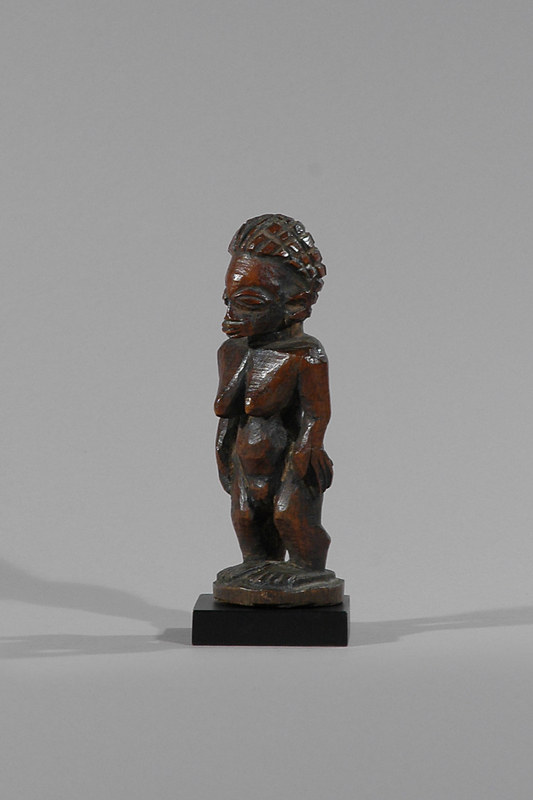 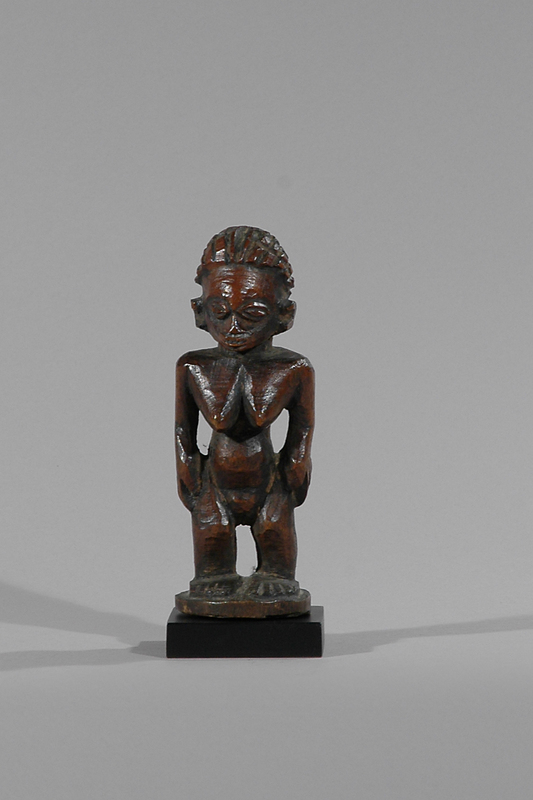 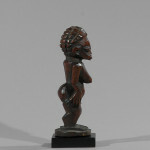 This finely carved female figure comes from the Chokwe. 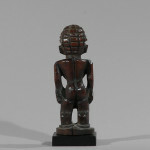 Figures from the Chokwe reflect a high aesthetic sensibility in the care that the sculptor gives to the complete figure. 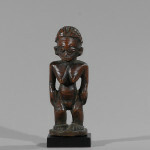 Chokwe figurative art includes a considerable series of figures made in memory of the female ancestors. 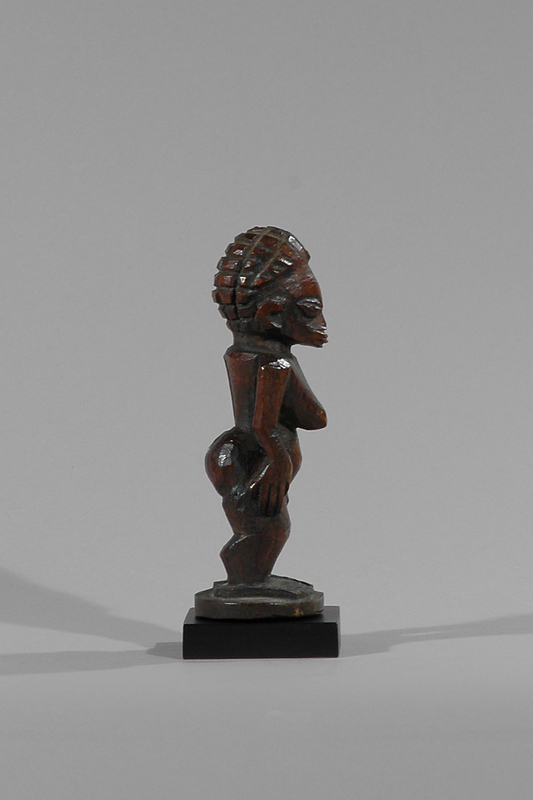 Most of these female figures recall the woman’s important position: wife, mother or sister of a monarch, and pay devotion to a domestic cult. 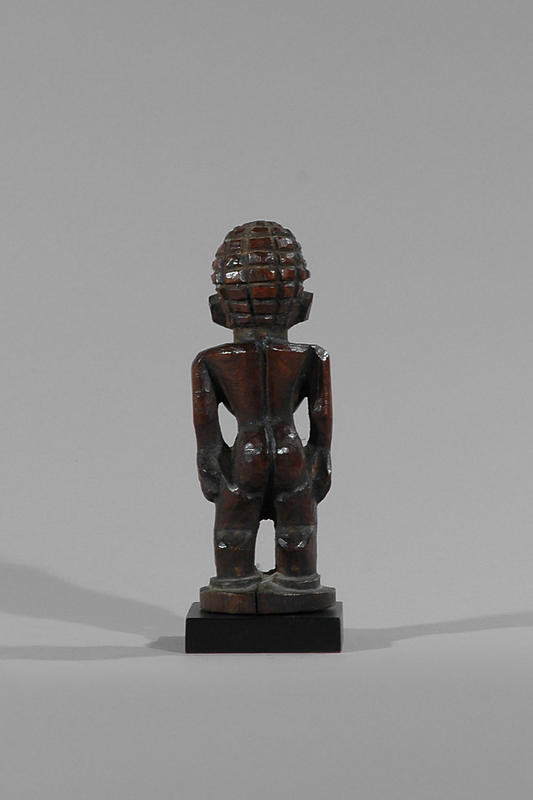 It is not in the facial expression the woman is evoked, but rather by the combination of scarifications and details of the coiffure.